It’s summer in Vietnam and people tend to have a blissful and beautiful beach wedding. Check out some wonderful destination for a beach wedding in Vietnam! It’s not only an attraction for tourists but also a suitable place for beach wedding in Vietnam. 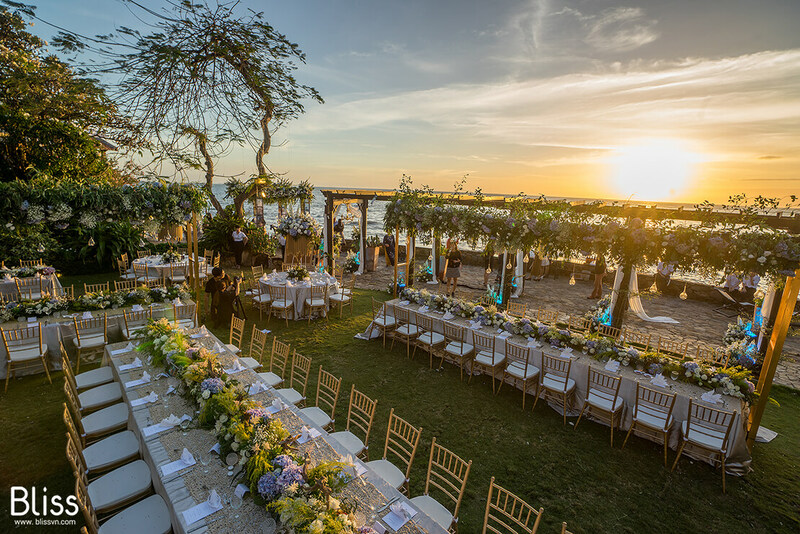 The affordable price resorts in Mui Ne offer couples a wide range of choices when it comes to decide a place for wedding. Moreover, Mui Ne resorts often give out vouchers or discounts in some booking online website. If you plan to have an affordable place for outdoor wedding, this is the best place in southern Vietnam. With some famous 5 stars resorts between Nha Trang and Cam Ranh like Mia, Diamond Bay, Hon Tam etc. Nha Trang stays at the most beautiful destination for beach wedding. Nha Trang is ranked one of the top beach city have the clean and beautiful seashore in Vietnam. However, the price there is rather higher than other places. Another problem is Nha Trang located in the middle of Vietnam, so it cost a sum of money in transportation when the couple living in the South or the North. These 2 famous islands are new born tourist attraction stars in Vietnam. More and more people have chosen Phu Quoc or Con Dao for honeymoon. These two island also offer some good beach wedding services. How much does it cost to organize Vietnam beach weddings?